So, one thing in Pendor lore I was never that happy was the great Schism between the Dawn and Eventide... yes, they parted due to Godfroi's heretical research, but just what was that? What did he find that was so divisive? If it was really that bad, then why on earth did any of the pure Knights join the Eventide? Now initially, that sounds bad, right? Using sacrifice to power magical abilities, that can never be good? Right? - That's the Dawn's argument. However, Godfroi found that there is a branch of Blood Magic which can actually be used against the demons, a way even of inoculating people against their power and influence. How can this be a bad thing, it just needs to be applied in moderation. Sacrifice some of your own blood to the gods (Astraea only? Or any?) and your blood become useless to the demons, it loses its magical potency. Therefore, the Eventide faithful practice the art of self-sacrifice, that is devoting a pin-prick of blood to Astraea every Sunday at their service - imagine it as a ritual like Holy Communion. This act makes the person immune / invisible to demonic powers for about two weeks (hence they do it weekly, just in case). Offer more blood, and the protection becomes more powerful and lasts for longer, therefore some of the most faithful will cut open their arms to freely drain blood for Astraea, while the fanatics will cut limbs off to show their zealous nature (though ironically doing this is barely better than the cut arm, as the blood loss is likely to be about the same). 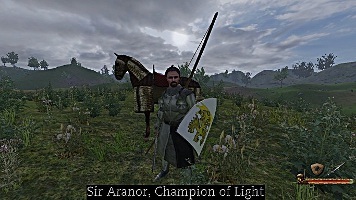 This process is not illegal in Pendor, His Majesty knows of the process, but has made no statement for, or against its use. HOWEVER, this is a double edged sword. Blood is also used in the summoning process, it is the very resource that demons crave, it is why they want to join the mortal world and feast. Sacrifice a little to them, and you can communicate with those beyond the veil. Sacrifice enough, and you are able to pull their essence through. Commit an atrocity, and they will physically be able to enter our world. So here we have a very powerful, albeit dangerous weapon in the war against demonic powers. It is very difficult to tell a willing Eventide devotee to Astraea and a Heretic apart, because they both use the same power, but from different sources. A heretic can (and does, often) self immolate, but their blood is devoted to Erida and the Veil, not Astraea and the benevolent gods (different gods, different effects?). The Dawn believe Blood Magic in any form is heresy, and the only way of successfully defending against Heresy and Demons, is to burn those thus corrupted in case their life force actually goes to empower the demons they are trying to stop. The Pure Eventide believe Blood Magic is a tool to be used in the war against the Demons, as it is the most effective weapon in their defeat. Far better than fire and steel. The Corrupt Eventide know its true potency, and seek to use it to gain powers through pacts with the Demons themselves. Is blood sacrificed to Astraea by a pure Eventider useless for the demons or can the heretics channel the power of that sacrifice for their own purposes? It becomes entirely useless to heretics, as does all the blood still in the body of that person (any magical potency they personally had, is lost for the duration of that sacrifice). It does not however stop that person from performing Blood Magic, they just cannot add their own to it. As such, mixing own and other blood together makes the most powerful effects in terms of contacting demonic powers, because it would mean that you have not protected yourself through Astraea... it's also very risky, and is where Heretic Magnus's go wrong, increasing the chance that they succumb and become a host to the demon. What counts as an atrocity to pull a demon through? Killing 5 people in a ritual or going out and butchering a village? Also, I'm unfamiliar with how demons are in Pendor, do they have different "ranks" of power and ability (which I would guess would lead to a varying amount of blood to summon them) or are they all very powerful, like Eyegrim and Demonic Magni? Adding to Alaric's question, what would it take to summon someone like Eyegrim? He could certainly communicate with them more often, as the Veil between them would be weakened. Hosting is a tough one... it would be the dream of most Magus's to host a Demon due to the extra power and insights they would get from their bodily partner, however controlling it would a losing battle, and the most powerful demons are exceptionally patient. I would say that continual blood sacrifices would need to be offered to the partner (need a better word for this) to keep them content, otherwise it's likely that they would attack the mind, and the host would become insane until their mind was lost entirely, at which point complete conversion is complete and they become a Demonic Magni. There isn't a known rank system or established heirachy no, but some will be more powerful than others, hence the difference between The Fallen, Demonic Magni, and Eyegrim. The method of their summoning would also matter (a host being taken over provides far more potential power due to all that living blood. The fallen are basically animated corpses filled with a demonic spirit). I will probably draw up a Blood Price for various powers and summoning. Some good, some bad, but all with consequences. Different types of demon will require different amounts yes, and there will be a number of ways of collecting it. I probably will not publish this here though, but rather give it to those who need it so that other Players are kept somewhat in the dark of what is happening and why. Who determines where the blood is going? If the Dawn burn someone, and in the almost impossible chance that they are actually heretics, wouldn't their sacrifice still go to Erida since they wish for that? Or does the presence of the Dawn and a dawn priest/burning sever their wants and send it to Astraea? And is there a true way to kill a demon? Like utterly and without letting their essence go back into the veil? Honestly, I kind of liked that in Pendor so far the only way to really acquire magic was to invoke a demon into your own body (Snake Cult and Sindari being different matters, of course). It made the system unique and tied this power to a very high price, which I have grown to like. I have always imagined the heretical research more akin to medieval physicians studying corpses in order to better understand the human body. By modern standards, these people were not doing anything wrong (or at least we don't see it that way anymore), but it was still considered to be a terrible crime in the medieval mindset. I think pure Eventide knights would have studied demonic bodies (assuming there ever were any, don't think that was ever decided), as well as tried to understand the different steps of a ritual and what it actually did, in order to find ways to sabotage, interrupt and possible reverse and counter them. My personal take on it, however, would not be to give the blood itself any power. It is life force, but humans should not be able convert this force into anything else on their own. The blood (probably combined with the particular speech used in the ritual) is what attracts the demon, what he craves, luring him to summoning site and thinning the veil between the world and the nether, but it is the willpower of the invoker that actually pushes the demon through. The aim of the Eventide knights would have been to reverse this process, to create a connection to the demon and to thin the veil, only to push it back through in this case. So I guess what I am suggesting is the possibility of an exorcism, but nothing more. One consideration is what people would know about this (and conversely, how effectively the Dawn have suppressed it). If a labourer in Rane gets desperate enough, would they know about blood sacrifices enough to try offering to a demon? What about a scholar? Very little, especially outside of the D'Shar / Fierdsvain lands where the Heretics (and Dawn / Eventide) were active. The Empire would have a very different take on it all, as the Snake Cult did not tend to indulge in Blood Magic, they had other means. Sarleon might have pockets of practitioners but they would be very, very, very rare, like 1 in every 50,000 people. It's virtually unheard of in Ravenstern. @ Azlanek, everything to do with Blood Magic is still related to demonic forces, there is no true magic in Pendor (outside what the Sindari achieved, and their lore is gone. The Noldor have enchantments, but they are quite weak and exist only for items... their primary advantage is longevity). The only magic a Heretic Invoker or Magnus had was through the demons they communicated with. Communion would grant some powers, for instance extra strength in battle, but it took true possession to really gain serious power. This will all be reflected in my plans for how to use it - it will not be a big thing, but enough to breathe life into the struggle between Dawn and Eventide, and just ethically questionable enough to really try people's morals. Then I would still leave this whole immunity thing by sacrificing blood to a god. The gods of the setting get active very rarely, so whatever is happening would unlikely be connected to them, and I fail to see any reason why the demons themselves would be willing to create this effect. Do the gods really exist or care here? Why not make the alleged demonic communion a hallucination? Or perhaps the herectics got lucky and found a ritual by chance, one that uses the residual magic in world, allowing them to communicate with lesser planar beings - which they consider to be demons, but who never actually called themselves that? So it would be a much more ideological thing for Heretic high officers, and a more paranoid thing for Dawn inquisitors who claim to be able to interrogate and determine one's demonic taint. The gods were more for flavour, though I take and agree with your point that perhaps we should leave them inactive as they otherwise are. The point I was trying to get across was by doing -insert action here- the demons no-longer want the blood of that person. If you have better idea for the -insert here-, then by all means let me know. Basically the idea is that it is blood that has the latent magical effect, and that the Eventide have found a way of purging this, if only for a short time, hence the immunity effect. @ Saeros, the gods are a separate entity to the demons. The demons exist and are very real, but they have to be invited (summoned) into the mortal world. Hmm, not really sure if that can be done with what we already know, at least not if we maintain that all magic comes from the demon. The way I see it, blood is either inherently magic, which would enable people to do stuff with it given the right knowledge, with or without demons (the current concept of blood purging involves no demon summoning whatsoever, right? ), or blood/death of the sacrifice is just what demons crave/something that is a necessary part of the summoning process, while all magic is concentrated within the demon, in which case nothing could be done with blood unless it is "demon-blood". I disagree, humanity has never had the ability to tap into the magic which their blood contains, only the demons can. Hence "Invokers" and the "Magnus" (both terms for "Mage") HAVE to use demons as the conduit for their powers. They summon the demons basically by baiting them with blood sacrifices. The demons, who thirst for the magic inside the blood agree to do certain boons for the human in exchange for access to that blood. What we need is some kind of ritual which "absorbs" the blood and sends it to the nether. Of course all demons want an unlimited supply of the stuff which exists in the mortal realm, so will do all they can to manifest themselves in the mortal world, either through possessing a corpse (very weak) or through possession (very powerful). Both have risks and benefits for both parties. Perhaps they do have to have small amounts of demon blood to make the connection, but for all else it is human blood which power the "boons", and are the resource contracted to the demon. Where this demon blood came from initially, without a way for demons to enter the world without their own blood being present... well we have the Sindari to thank for that, as they were able to do proper, real, fireballs at dawn magic, demon summoning (in demonic form no less, now a lost art). One interesting quest for the Heretics would be how to acquire that demon blood to establish new connections... ? Well there would be tainted ground throughout Pendor where a demon (in demon form) was slain, and it is up to them to find and extract it from them. This is all going away from the central point though - what is the process used to immunise human blood, and make it lose its magical potential (and thus render it useless to demons)? I would say make that process painful and nigh-on heretical. The Astraean church isn't very forgiving of even minor research into heresy. Rather, unless the ritual involves light and ponies and Astraea coming down and purifying the person, they probably wouldn't endorse it. Sacrificing a little blood to any god would be seemed heretical because of the nature of blood magic; I would say make the sacrifices and 'immunity' Eventide exclusive as a whole, with the majority of Dawn knights not safeguarded, while some that are extremely secular/almost heretical do partake in some. But if anyone really wants to RP being immune, that's perfectly fine. Just make sure to keep it a secret from others IC, as blood magic is looked down upon as a whole. I feel as if the Eventide has the only full knowledge of blood sacrifices and magic, while the Dawn has a limited amount (due to them kicking out the Eventide). No other orders should have any real information, unless they have done research into heretical enemies. If you make it so in your bio you gain some sort of knowledge about blood magic, then thats fine. Just make sure you have the knowledge before you start sacrificing randomly. Only the Eventide faithful (pure) would be willing to do the immunization ritual because they are the ones who studied it, after all. The Dawn (or Church) as I see it now wouldn't even think about blood magic. Rather, they'd just burn whoever came up with the idea. I would say...something with fire. I feel as if the Dawn's fixation on fire is not just for 'burning' heretics or just for the 'purification.' Maybe actually justify their burning by giving them a reason (that they don't know); burning someone alive immunizes them and their soul from the demons. But, if you actually want to live... well, theres an easy solution. If you boil your blood, then drink it, the purified blood acts as a signal scrambler/jammer. It doesn't let demons (on the other side) look or focus on you, because to all intents and purposes, you're uninteresting. Boring. You don't have anything they need. A ritual for absorption would be blood spilled either on tainted ground or a heretical altar. For the altar, the symbols, words of power, and shape + intent make it a conduit to the nether. The tainted ground has to be either a huge battleground (the amount of blood forces the portal open just enough for communication and tribute) or a place where an actual demon fell (possessed, summoned, undead, any sort of demon), because their death instinctively taints the area. Demons almost certainly would have a different name for themselves, so it's not really significant whether you call them planar beings or demons - an otherworldly evil with endless hunger for flesh and blood fits the definition of both. Another question about demons as a whole. Is eyegrim the most powerful one or just the more powerful one that has managed to manifest to date? Also, what is the connection between demons and azi dahaka? Are they her servants/connected or are they entirely unconnected? I was thinking more along the lines of beings with societies; they're only 'evil' to us. Maybe there are demon kings, peasants, soldiers. Maybe they have demon knighthood orders. Maybe there are demon drinking contests, or demon peasant rebellions. But for some reason, human blood drives them insane with lust and crazy for it. If you think about it, what if they view us as how we view bugs? To them, they are just using us for what we can do. We, on the other hand, view them as evil invaders because of our different perspective. If demonic right or wrong exists, would there be a possibility to meet a 'friendly' demon? One that is drawn by the blood, but doesn't murder everything in sight? I think the answer for that would be no; simply because they wouldn't be our 'demons' then. They would be angels, saviors, otherworldly beings; maybe, those are even our gods. What if Astraea is simply a planar being, similar to a demon, who exists in the same plane as them, but they don't murder everything? However, the point has been made that gods and demons are distinct entities, so this is just imagination and creative thinking. @Alaric, IIRC Azi Dahaka and demons are unrelated; she isn't interested in them and they aren't interested in her; only in her followers blood. 'They don't tned to indulge in blood magic as they have other means', as said by Mordred. Azi Dahaka is the Snake Godess, so entirely unrelated. She has some cool lore actually but I am on pain of death not to reveal what it is. You probably meant Erida Occisor though, as she is normally associated with the demons. Erida actually has little to no control over the demons, she just revels in the chaos that they are out to cause. Of course the people of Pendor don't know this, and just associate them with her. @ Varys; Very well put, that is precisely the theory I was trying to use to underpin this system. Boiling and drinking the blood is a good ritual, simple and actually leads to another aspect I wanted it to take (which will have to be discovered through Aftermath). Fire is certainly something that does purge the taint, and destroys the source of power within the body entirely. Although the Dawn were absolutely correct in this being a powerful weapon against Demons, they went too far as zealots are like to do, and began burning anything and anyone which could have the slightly chance of being tainted (or being contrary to Astraea, and therefore heretical too). The Dawn would not have access to the knowledge of blood boiling at all, this is purely Eventide and is the reason behind the Great Schism. Boiling blood will certainly make it useless for a demon, but without getting a demon to do it for some reason, the "magic" of the immunization thing still seems to come out of nowhere. But what is so important about making the blood useless? Yes, heretics will waste their time when they try sacrificing you, but the demonic magus in front of you will probably just shrug and kill you anyway. Or am I missing something? Perhaps it also frees the person inside the flame? What if the demons only have a grip on your body, but they can corrupt your mind. I don't know of any Pendorian hell for punishment of sins of whatever, perhaps the only way to 'purify' your mind is to destroy the body, to completely sever the link between the person and the demon. The demon is barely holding onto the mortal world, and it is only because its in the mortal world that it can start trying to corrupt your mind. The Dawn might believe that when the link is destroyed, you rise up to join Astraea and she purifies you. For the immunity thing, how about the person who made the sacrifice does not get detected by the demon? Since the person made a sacrifice, maybe they are not being registered as eligible for sacrifices. Maybe a trick in the system? I should think that magic is simply the ability to tap into the lifeforce of the world and the beings within. The Sindari had the full ability to do so, the Noldor only pertained a much weaker form that only extends to some enchantments. Demons would be able to use this lifeforce to their own needs and the gods would obviously be able to handle it, though living things all have their own independent spark of lifeforce, for which reason the gods/demons can only influence it when willingly given, i.e. in this case in the form of a voluntary blood sacrifice, since the other gods would be interested in shielding their followers from Erida and the Demons. An interesting question: Would there be desperate Noldor that try to regain their lost ancestors' magical powers using blood sacrifices?